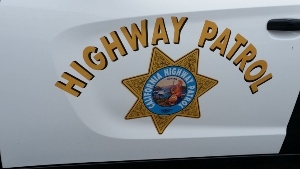 The California Highway Patrol (CHP) is working to reduce collision and fatality rates in California. They promote safety and communication between California's diverse residents and the CHP. The primary purpose of the CHP is to assure the safe, convenient and efficient transportation of people and goods on our highway system. They also provide disaster and lifesaving assistance. The mission of the California Highway Patrol is to provide the highest level of Safety, Service and Security. The secondary mission of the Department is to assist in emergencies exceeding local capabilities. The Highway Patrol was created in 1929 to provide uniform law enforcement throughout the state on county and state highways - which is still in effect today. Since then the span of enforcement responsibility has expanded dramatically and has continued to grow. Now, the CHP responsibilities include truck and bus inspections, air operations ( planes and helicopters) and vehicle theft investigation and prevention. The Department has taken a leadership role in educating the public about driver safety issues. The CHP has received national recognition for public awareness campaigns promoting the use of safety belts, a designated driver when drinking, securing children in safety seats and wearing motorcycle and bicycle helmets. Below is a list of the CHP offices by Division located throughout Southern California (Counties: Los Angeles, Ventura, Riverside, San Bernardino, Orange, San Diego, Imperial, Kern, Santa Barbara and San Luis Obispo). Click on the station name or city for contact information and Google Map.